My friend Katie from Paper Makeup Stampshad this DIGI image —> Fairy for Kayleigh<— designed to raise money for the family of Kayleigh Freeman. You can ready her story —> here. Kayleigh passed away after a long fight with many medical issues since birth. Upon linking this info, I went to the latest entries on their family blog, and just cried my heart out for this family. I didn’t even READ it, I just looked at the photos. I have no idea how they are coping. Talk about having Faith. Its easy to SAY, but not easy to LIVE. They are living it. They are in my prayers. Never did I want to have to use this set again. But, it was perfect, for such a time, when there are NO WORDS that can help. Going with the sentiment-I airbrushed a heart around the Fairy Angel. I think this is such a peaceful image. As I leave this post, I hope you are thankful for your family, health and life. Remember how precious EACH moment is. I’m off to appreciate my own children and family, as I say a prayer for the Freeman’s. May God bless little Kayleigh. You know its getting unkempt when your HUSBAND notices! LOL! Granted I do a quick clean daily, but my house really needs a scrubbin. Now I don’t want it to sound like my house is a disaster! Its always picked up and my bathroom is ALWAYS clean, but the BIG cleaning hasn’t been done. So I’m decaffeinated up and on a mission before the holiday weekend. Now here is the FUNNY part. Thinking of cleaning my house, got me into creating a house! LOL! See what the mind can do when you are trying to subconsciously AVOID something?! I somehow ALWAYS manage to get distracted. I really do have stamper ADD. It is a House Box I altered, filled with recipes inside! I just fell in love with this paper from October Afternoon-Weathervane. I did a little distressing too. I lined the edges of my chimney, roof, and peak with Doodlebug Paper Frills. Makes is all nice and neat. Having new paper is just the BEST feeling. See it applied to a project like this is SO rewarding. I love the colors and everything about this box! LOVE! I am parting with it though-its going up on my Etsy Shop! I purchased the Recipe Borders and Centers and have been DYING to make my own version of a recipe box! You can also get this set as ATS–>HERE! I also used some May Arts velvet ric rac in Sweet Pea along the bottom for my “grass”. You can’t see it in the photo, but its a sweet touch I think! The top peak comes off and reveals the recipe cards inside. I also found a Weekly Meal Planner magnetic note pad to match! I had no real recipe cards (EEK! I have some on order though! ), so I used blank index cards, and then made my dividers. This went together easy peasy!! OK now I can’t go on and on like my usual-I need to get back to cleaning!! I hope you have a great day, and THANK YOU for stopping by to visit. I know first hand how busy everyone is, and to think YOU took time out of YOUR busy day, to visit me, makes me so happy!! I myself rarely get “out on the net”. I’m in my own little crafting world here, caring for the kids, and “working”! So I want you to know I appreciate you! With ALL the amazing blogs and talent out there, I’m just amazed anyone ever stop by here :D) So thanks again!!! YES! 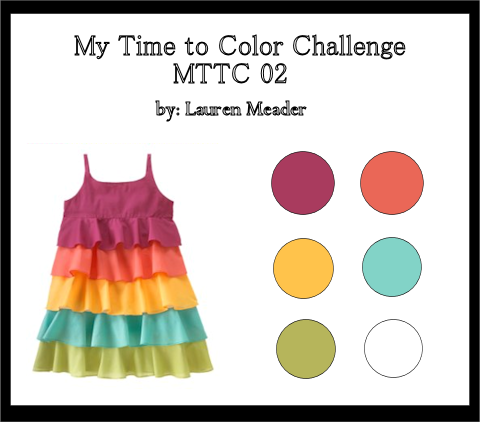 I really did have a project for My Timeless Template Challenge <—–click there to see challenge details. My team totally ROCKED out the templates! I’m in awe. I was just seriously delayed in photographing and editing it 😀 SO I apologize for that. Sometimes LIFE gets in the way. This is a large cuttlebug die. It has 3 or 4 matching embossing folders with it. I NEVER use it (insert shocked face here!) but now is the perfect time! I love how I was able to make a window in my Ready, Set, Wrap box! I love purple AND butterflies so this was EASY PEASY for me. Once I saw that paper I KNEW that it was perfect. Here is the closer view of the stamped window. It reads: Made with love, and has a flower that I colored using my Singlo Opaque pens. The paper is PTI pale plum, and Lavender moon, and the patterned paper NEW! to me. NO IDEA who makes that-sorry. I chopped it all up :D) Feels good to not HOARD it. Sorta! The flowers are by American Crafts. I think they are a nice touch. Well that is it for me. I have been uber busy creating so I hope to share LOTS more soon! Thanks for stopping by, and I hope you play along with the challenge! OK over the next day or so you may notice weird things on my blog. Things missing, changing, popping up or that don’t belong! My subscribers thingy is gone as well as MUCH more-Splitcoaststampers is the host of my blog, and they are making some changes-so this is effecting my blog till its all sorted out. That being said when you comment I have NO IDEA, and a bunch of other stuff. HOPEFULLY it will be sorted out soon. This is going to be short and sweet as I think I now have a horrible sinus infection, and I need to take Amber’s pre-school to a very LONG field trip tomorrow, so I NEED to rest.� Didn’t help that I forced myself to stay awake to watch the first episode of the Bachelorette!! Not sure if Ill be able to walk and drive all that way through tomorrow if I dont get better ASAP! AND handle a big group of 4-5 yo! Coffee with a turbo shot will be my best friend tomorrow. As you can see Im am just stuck on her being Strawberry Shortcake! I love her! Sentiment was perfect-it is from AmyR Beach sentiments (AMY that is my fave of yours to date :D) I love the mix of bold and that other fun font! Serious must have!! I just masked and airbrushed my sun. I did my little dotted sand for her to sit in. I just love her to pieces. Its sad you can see the shimmer this card has as I colored the water and shells with my WATER COLORSthat are pearlescent. They are the BEST!!! Now she is coming out with a Beachies set IIwhich are BEYOND adorable!! You can pre-order them now, or get them as a digi download 😀 RUN! LOL! Now these are from March Release-after I had my surgery! So I got REALLY screwed up on posting. These are Tweeties! I so love this collection 😀 LOVE! I love the simple look. I think he looks SO cute as a penguin 😀 This could be a boy/man or girl/woman card! I love it. OK� that it for me. I can’t muster another typed word. OK maybe more like 3 days late! This will be chatty! You can tell I haven’t blogged in a few days. Its like I was cut off from the world! 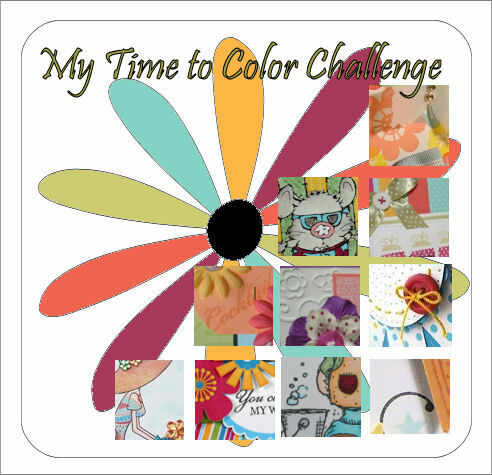 PS I do have my own template challenge DONE-I just need to photograph it! I am SO late posting my Papertrey Ink release stuff! Having the newsletter in there and then my weekend festivities, really threw me off there. Plus now I sick! I like scratch sore throat, sinus infection sick! BLECH! things like that, and it drives my husband INSANE! He’s never heard most of the sayings I use, and I think thye are universal. He things I’m the weird one, but I think HE has been living under a rock. OK moving on-CKC was fun! I think I like hanging with my girls more than the shopping 😀 OK maybe its the us shopping and enabling together?! LOL! NO! I didn’t bring my camera. How would I shop with my big hinkin camera hanging on my neck? I went with my best girls Paulette, MollyB, Traceyand her MOM, who I like to call mom, cause I love her to death! She is just the sweetest person ever. AND I think she is more of a private person so I won’t go giving out her address and stuff! LOL! JK! Some of our other friends from last year were missing :C But maybe next year! Yes I go every year! There weren’t a lot of “sales/deals” KWIM? I figured with the economy there would be. I got some of the PRETTIEST paper. I swear I go there just to spend ALL my $$ on paper! Good grief! I alway promise myself I WON’T do it. Actually me and my friends had a pact to NOT buy so much paper. Before you know it we are making each other get paper from here, there and everywhere! Good friend we are. Just a bunch of enablers. How are we suppose to resist the PULL of some of the prettiest patterned paper all in ONE place, at out fingertips, ready to go home with us? Obviously we can’t! I will say we did help each other if one said do I really need X, usually one of us was strong enough to say NO! you don! WALK AWAY!!!!!!!!!!!!!! We got some nestabilities that were on SALE for like $18!! All of them! Now that was the TRUE test. It was hard not to go wild. I want SO many. I did also get some cool alterable stuff which I’m just bouncing over because you KNOW how I am with alterable and gift making-its my favorite thing, got some SUPER buttons and brads OH! and 2 stamp sets that I didn’t need but they had butterflies, so I had to get it, along with stamp singles. I also got a SLICE cartridge for my SLICE machine-Ill share more about that later 😀 YES! I have a SLICE. YES! I have played with it-NO! Haven’t actually USED it in a project-YET! But its cool. It was suppose to hold me over from getting the Cricut Expression-and so far its workin because I haven’t hardly used it, so I had no business getting that till I get my $$ worth from my SLICE! The cartridges were on SALE-which at M’s you can’t use a coupon so that justified that. While shopping I was stopped my lots of my blog readers who were also shopping and stopped to say HI! I think that is so sweet to get to meet people who come visit me everyday!! SO HI!! I have to be honest before I share-I have a VERY hard time-switching from template mode to card making mode! I don’t know what it is, but I get into the ZONE with templates so working with a flat surface gets to be challenging. I have SO MANY templates designed its INSANE-and I still have about 16 ideas sketched out on my desk that Im totally ITCHING to make into reality! Its crazy. OK who cares! I know!! OK ALL supplies from Papertrey Ink—>Click here<—-to see whats NEW! I can’t even begin to tell you how much I ADORE this background! HOLY MOLY! Its beautiful. Oh and Fancy Flourishes-must have!! I love how the swirl makes a flutter trail and just looks elegant under the sympathy sentiment. I find these cards the toughest to create. I think I need to make an entire set with this design to keep on hand. I needed a sympathy card for my friend, who’s grandmother died the same day as Jay’s-creepy huh?! I ALWAYS have to include a butterfly in my sympathy cards. Its just this thing I have. I think the Smokey Shadow with Sweet Blush was a great combo for it too. Cardstock: White, raspberry Fizz, summer sun, tempting turq. I love the set and how the cocktails gasses can be EASILY layered. WAY CUTE!! The whole set is fabulous. Inside are Hershey Chocolate Stix! I used my Let’s Do Lunch template. I can’t tell you how much fun I have had putting that one together! My handles are purse handles I found at Michaels for $2! LOVE them!! I made my own patterned paper using Lisa’s set. I love how you can make the border circle and the star 2 separate colors-easlily! I went with the red, white and blue for a festive 4th of July gift giving idea. I think its cute 😀 Plus a great BOY option!! Change the colors and its a GIRLY option. Lisa featured ALL our designs on her blog—> HERE! Seeing them all grouped together is really cool, I think.